At Dorans on the Pier, we know our seafood. With 3 brothers who have fished, with over 50 years of sea time between us, we really do know our business. We still operate our own trawler, the Celtic Fisher and have a busy factory supplying to some of Dublin's finest restaurants. We have 3 seafood restaurants, 2 of which are on Howth's West Pier and a newly opened third in the Beachcomber pub in Killester. 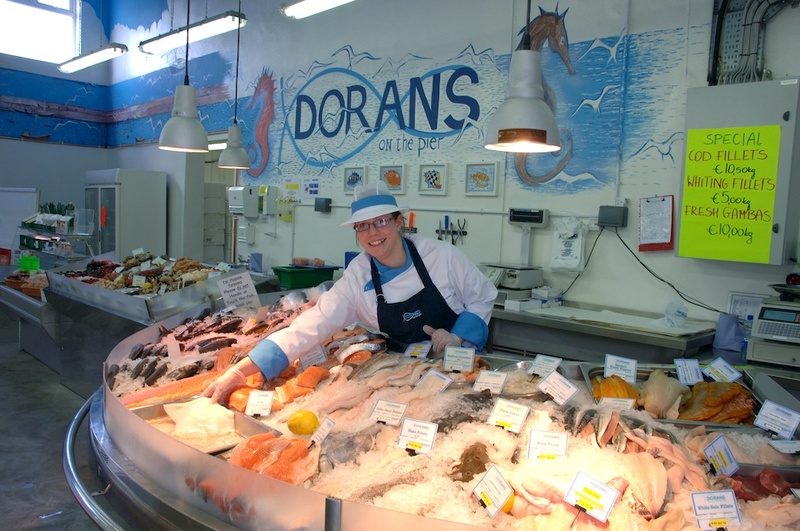 We have a home delivery online shop, seafood2go.ie, and of course our shop, Dorans on the Pier. In addition to our wholesale business, our shop sells a wide range of fish and shellfish, all as fresh as can be, and at prices that will keep you coming back again and again. Our shop is located on the West Pier in Howth, just beside The Oar House restaurant, where you can enjoy lunch and dinner cooked up by John Aungier and his team, and all supplied by ourselves. Sign up to our newsletter that will keep you up to date with our promotions and give details of specials only available to our regular customers.